I love drinking beer. I love getting a perfect pint of Guinness poured at a local Irish bar while pounding my way through fish and chips. It's hard to beat pouring my favorite Belgian Dubbel into my Duvel glass at home while I watch reruns of the Office after a long day. It's also hard to beat an ice cold Bud Light on a hot summer day out by the pool. Drinking the efforts of my homebrewing makes me love beer even more, especially when it's my Smoked Chocolate porter or my insanely hoppy IPA. While there are great crowds of people that get strung up on the definitions of craft, micro, nano, and fizzy, yellow stuff, I belong in the crowd that loves beer for the fact that it is beer. 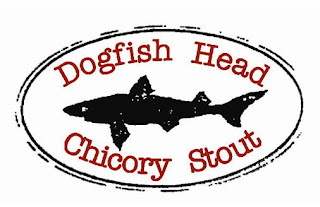 While there are times where I search out a specific Dogfish Head beer that is only released at the world's smallest bar, and I often look for the newest Southern Tier offering in my favorite beer shop, there are plenty memories of mine where I have enjoyed an ice cold macro (BMC) lager simply for the fact that it washes the food down my throat without being over complicated. All too often, beer snobs and drunken frat boys create a massive division in the beer world that requires you taking sides. I'm tired of firing up Twitter or Facebook and seeing another craft brewery knocking BMC for the beers that it puts out, and I'm also sick of BMC putting out crap beer and then marketing it to death (or until the point where people buy it because the newest commercial was funny). Beer should be celebrated for being beer. Founder of Stone Brewing Co Greg Koch gets extremely mad when he thinks of the fizzy, yellow stuff, but when is the last time that Stone released a beer available in places outside of Southern California that you can drink more than one of and not feel sloshed? There is a time and a place for every beer out there, and more people need to realize that. I'm not defending crap beer, but I have tasted as many "craft" beers that I thought were crap as I have BMC beers. (Definitely not defending Michelada! Tomato or clam juice and beer are definitely not a good combo!) With that all being said, the next few posts that I provide will spread the gambit of the brewing world; from Macro lagers, to the smallest nano breweries, to my spare bedroom where I homebrew. Welcome to the world of beer that I love. P.S.- We know we've been gone for a while... Life gets busy so go grab a beer and just enjoy the great things we've got coming your way!